Stephanie Brown and Bill White are two of my favourite people, although I have never had the pleasure and privilege of meeting Stephanie. They have both made such a huge contribution to our understanding of recovery and how it can be achieved. The work of Stephanie and her colleagues on family recovery is unique. Bill’s interview of Stephanie Brown is essential reading and will help you understand what an enormous contribution the latter has made. I’m going to visit several aspects of this interview over this and future blogs. Enjoy! ‘Bill White: In 1985, you published the book, Treating the Alcoholic: A Developmental Model of Recovery. This book set forth the developmental perspective that has informed much of your work. Could you briefly describe this perspective? Stephanie Brown: Treating the Alcoholic was a translation of my doctoral dissertation, now further confirmed by our patient work at Stanford. It outlined the stages in a developmental process and the tasks of treatment for the patient and the therapist at each stage, a radical way of thinking about alcoholics and alcoholism at that time for both the addictions and the mental health worlds. I suggested that alcoholism, and alcoholism recovery, is an ongoing process, not an event, and outlined four general stages in this continuum. These are now widely known as active drinking, transition, early recovery, and ongoing recovery. Today, we say active addiction; drinking/using transition and abstinent transition, the move from active use to abstinence; early recovery, which centers on new development of self; and ongoing recovery, which is the stabilization of new behaviors, a new identity, and a whole new self. From the beginning, I used child development theories, especially attachment, to illuminate the recovery process. The attachment theorists were new in the ‘70s and ‘80s and offered an astounding and valuable perspective about human development as an interpersonal process. I likened recovery to the transitions from infancy through childhood – the simultaneous development of senses, behaviors, and cognition, language and emotion all growing into an integrated whole. Bill White: I recall when first reading this work being struck with the simple but profound idea that when people shifted from one stage of recovery to the next, their needs dramatically shifted; treatment approaches need to dramatically shift in tandem with these transitions. Stephanie Brown: That’s right. In my view, mental health professionals at that time did not understand addiction, and in fact, were often doing more harm than good in their approach to treating alcoholics. Mental health theories worked against an understanding of the developmental process of healthy growth. Even today, many difficult experiences of recovery can be misinterpreted as “pathology” instead of a normal part of healthy recovery development. 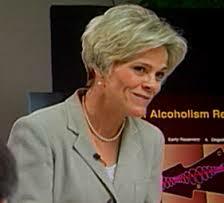 During active drinking and the transition to abstinence, the individual is dominated by impulsive, out-of-control behavior combined with an identity that says, “I am not an alcoholic; I have not lost control.” These behavioral and cognitive dimensions combine with emotional needs to keep the person locked in active addiction. When the individual hits bottom and “surrenders,” a cognitive and emotional shift occurs (“I am an alcoholic. I have lost control”) that allows the person to initiate recovery by asking for and accepting help. This is an action moment of recognizing one’s powerlessness and helplessness, breaking the attachment to the drug, and forming a new attachment to sobriety. That bond is represented by AA, a sponsor, and new objects such as books, pamphlets, coins, and meeting places. The dependency on alcohol is transferred, rather than stopped, so the individual often continues impulsive, out of control behavior, but directs it to new recovery objects and relationships. It’s a move from an unhealthy dependence to a healthy dependence. Developmentally, most people are not cognitively clear enough at new abstinence to absorb much, although people will acquire and understand new basic learning – what to do, what actions to take – and recovery vocabulary. This is just like the toddler who’s been getting ready to speak new words. Language facilitates mastery of behavior (which is NOT the same thing as control!) for children. Language is the great mediator for impulse in normal child development. In recovery, the potential for out-of-control behavior remains. The new language strengthens a stable base of recovery and provides distance from the dominance of impulse. It is the growth in recovery language and reduction in the dominance of impulse that moves people up a developmental ladder away from feeling like a vulnerable infant for years on end just trying to control your behavior. This is a state that many people live with for years when they don’t have a recovery program – white knuckle sobriety. Affective development varies widely. Emotion drives some people into recovery, and their feelings don’t subside with abstinence and security in a recovery program. Instead, the emotions of the past – childhood trauma, the experiences of the trauma of their own loss of control – dominate initially. People are filled with intense emotional flashbacks, intrusive memories, and insomnia. At this point, they have to hang on tightly to recovery. They may need professional support to help them contain the emotions and direct their impulses to recovery actions instead of using. For others, lucky at this point, the affect subsides or goes underground, making possible a smoother transition to new behaviors of abstinence and the beginnings of cognitive development. These people may not feel anything, or, they’re thrilled with recovery and what they’re learning. At some point, often towards the end of the first year, emotion peeks through. People may have disturbing dreams, or they’re suddenly aware of feelings they can’t even name. They were using so long that feeling is a whole new experience. I call them lucky because time in recovery gives them a strong attachment, as well as new tools to deal with their emotions through the Steps and perhaps therapy. They can accept and face their emotions from a higher developmental level of recovery growth, which is incredibly helpful. The 12 Steps provide people a framework from which to experience and respond to such feelings. The end of active addiction involves transformation. Transformation has been more understood within the field of religion than the field of mental health, and from religion, it is understood as a conversion experience.